We found paradise!! A little-discovered treasure off the tourist track. 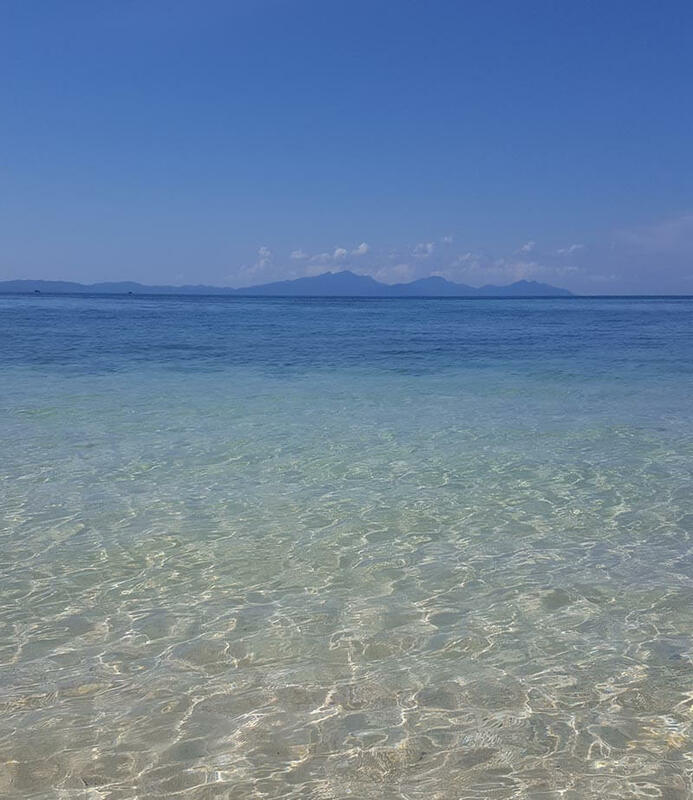 The tiny island of Koh Bulon Lae with its brilliantly white beaches and aquamarine seas. You can’t help but take 100 pictures a day just of the colours of the water! We had been staying on the island of Koh Mook (also known as Koh Muk) so hopped on a speedboat for quick one hour ride to Koh Bulon. On arrival, the island looked completely deserted. Not a soul in sight. Just this perfect white sand and palm trees lining the coast. There wasn’t even a jetty, just two coconuts, with faces painted on them, perched on top of poles and stuck in the sand to mark the spot. 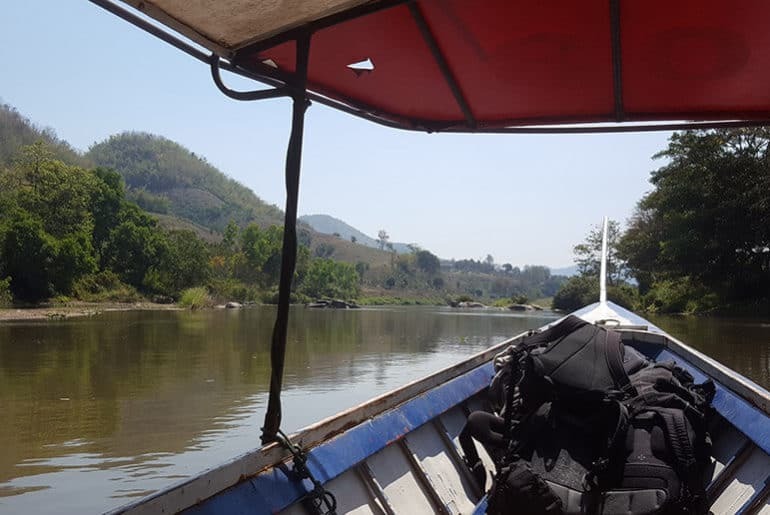 The speedboat drove as close to the beach as it could and we jumped over the side into the water – bags held above our heads so as not to get wet. The ferry left and there we were, us and our bags and I prayed we had been dropped on the right island! It didn’t take long to find some life and fabulous accommodation and soon we were settled in and sipping G&T’s on what is probably the most beautiful beach I have ever had the luck to be on. 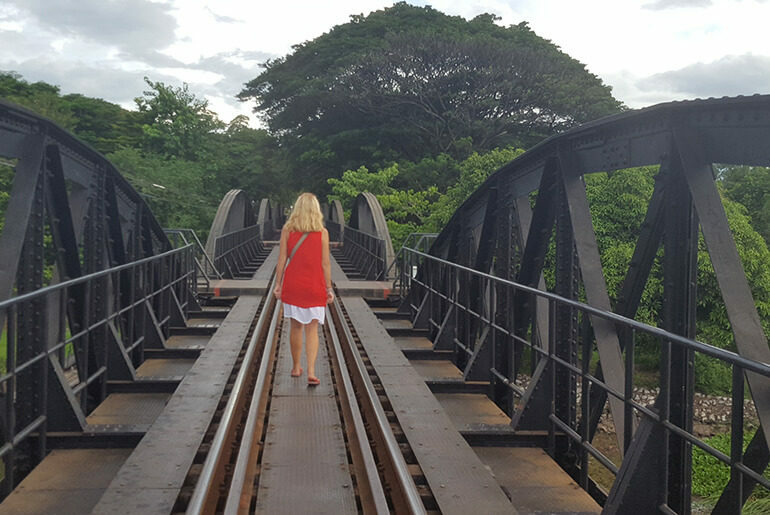 Taking only 20 minutes to walk from one side of the island to the other, this island has beaches, mangrove swamps and a dense jungle. 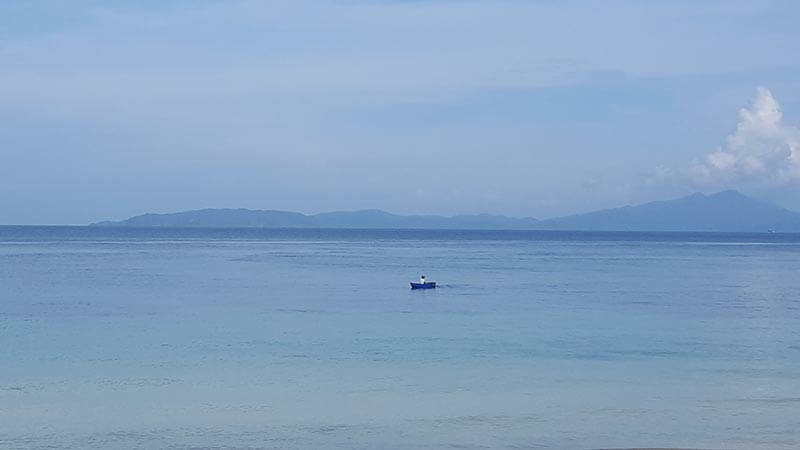 Despite our initial assumption, Koh Bulon Lae is teeming with life and we were treated to big monitor lizards, a cacophony of bird calls and the deafening sound of millions of cicadas. 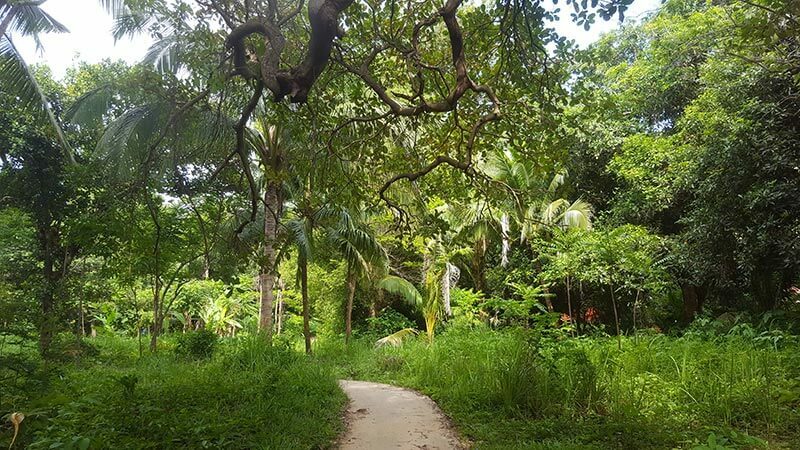 The island is lush and covered in thick jungle, but there is a narrow footpath that meanders throughout the island. The blindingly white sand beach, School Beach, can be found on the East side of the island, wrapping from the North East corner around to the South East corner. 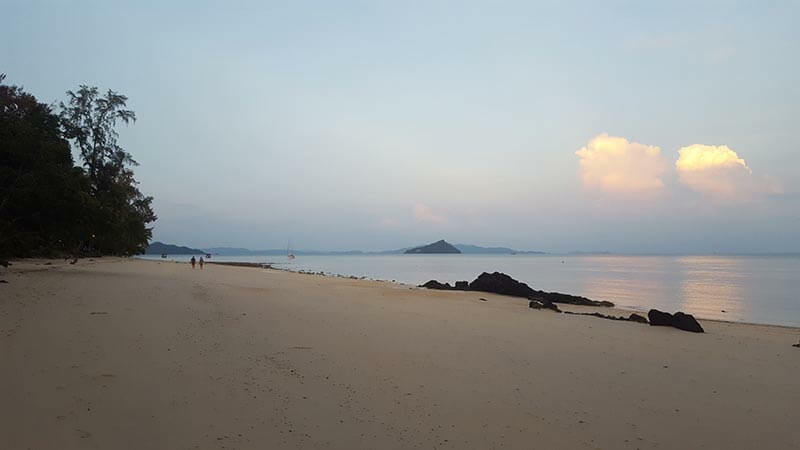 The beaches to the North (Phangka Bay) and (Ao Phangka Noi) are tidal and mangrove swampy, so not good for swimming, although they have some restaurants and cheap bungalow accommodation. The bungalows at Chaolay Homestay in Phangka Yai Bay were basic but clean with cold showers and mosquito nets. You could also try the Jungle Huts close by. We opted to stay on School beach instead of having to walk over the hill each day and got a great out of season deal at Pansand Resort. The Pansand Resort was heavenly and the restaurant was excellent. We had a sea view bungalow, with beautifully manicured lawns, colourful tropical flowers and deck chairs in front of us. Even though we saw other guests eating at the restaurant, we literally had the beach to ourselves every day. I’m not sure where they all disappeared to each day, but being able to enjoy the beach with no one else around was fabulous! The staff were incredible, the food at the restaurant was delicious and we were right on the best part of the beach. For me, this is definitely the winning spot to stay. There are two other mid-range places – Bulone Resort and Bulon Hill Resort. 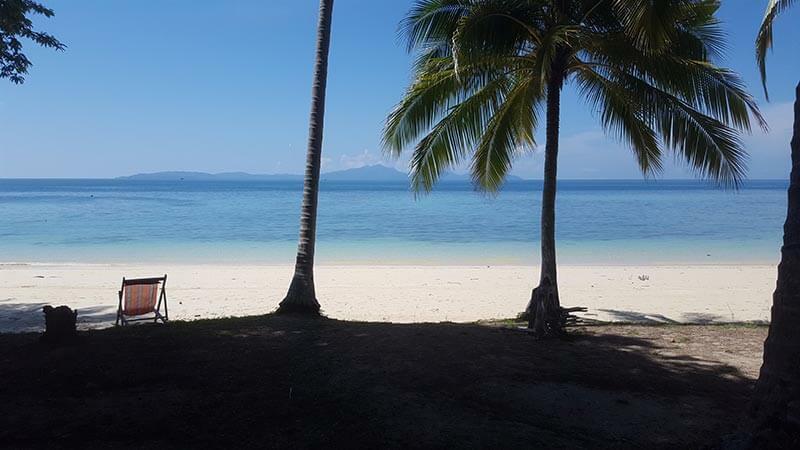 Bulone Resort is also right on the beach, while Bulon Hill Resort is a 3-minute walk from the beach. For the budget conscious, there are the School Bungalows. Almost on the beach, super cute, but bare-bones basic. The restaurants on the beach at Ao Phangka Noi were already closed for the season when we were there so we couldn’t give them a try, but near the top of the hill, midway between the North and South, is the Coconut Bar, a welcome pit stop for a refreshment after the steep hill! 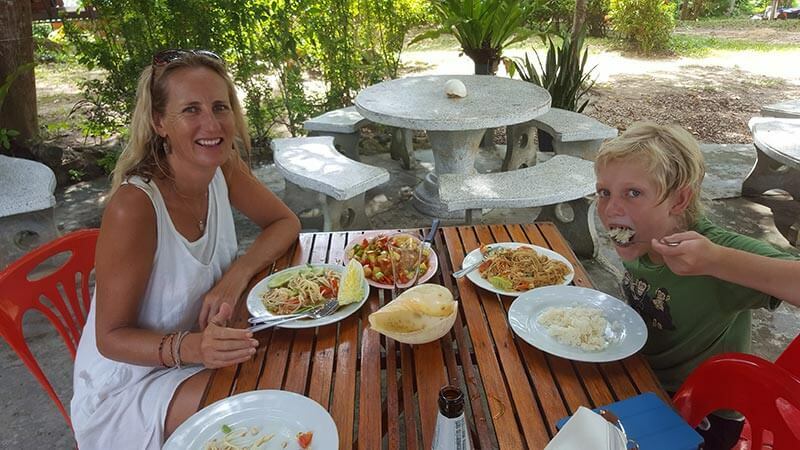 We had a fabulous meal at Chaolay Homestay restaurant at Phangka Bay, so I can highly recommend that. And of course, the restaurant at Pansand Resort served such delicious food that we were loath to even try somewhere else! 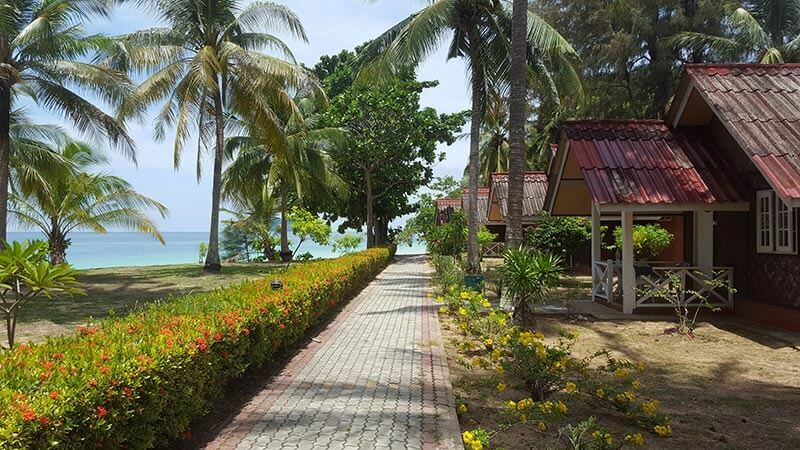 Koh bulon Lae is the kind of place you go to when you want to completely unwind and relax. There is not a lot to do, but that’s the beauty of being here and truly being away from it all. If suntanning on the beach, having afternoon siestas or lolling in the water, aren’t quite your speed, then there are a few options. 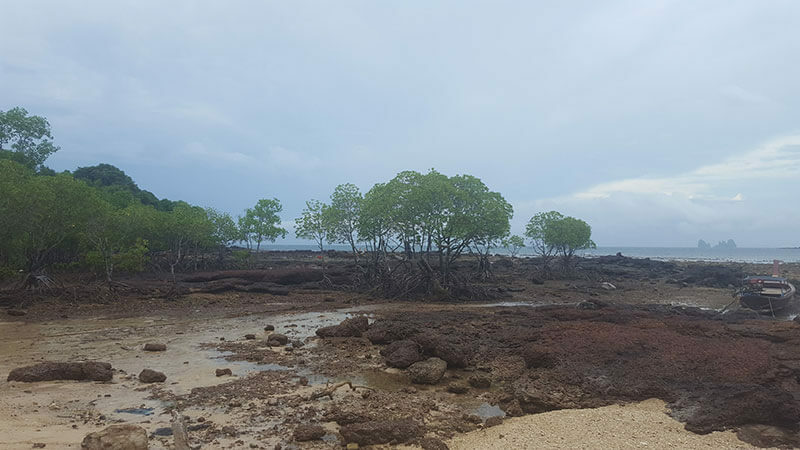 There are kayaks to cruise around the island on, snorkels and goggles to check out the reef fish, take a hike through the jungle, check out the rubber plantation, organise a fishing trip or have a drink at the Coconut bar. We were there in May and it was super hot, so if you plan to hike around the island, make sure to do it in the mornings or evenings, as the midday heat can be brutal. As if Koh Bulon Lae isn’t amazing enough, it is also an eco-friendly island. There is no electricity during the day, with solar panels powering generators, only after dark. Refuse is recycled and the small number of accommodation options is all that there will ever be. They may rebuild existing bungalows but no more accommodation is allowed to be built. This is one of the few islands practicing sustainable eco-tourism, so we give them a big thumbs up for that! 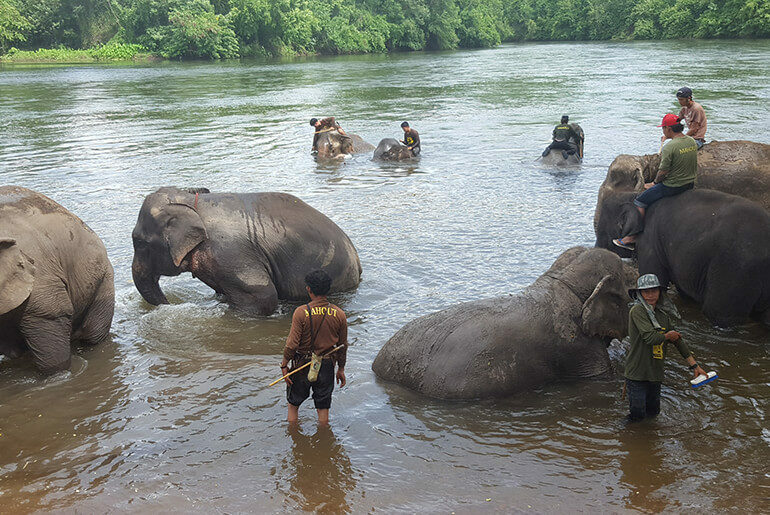 Please note that the island closes to tourists for monsoon season from June to October. You may be able to find accommodation, but most of the restaurants close and the main issue is that the public boats stop running. You can always get a longtail boat, but it works out to rather pricey, so make sure you don’t (or do) get stuck here! 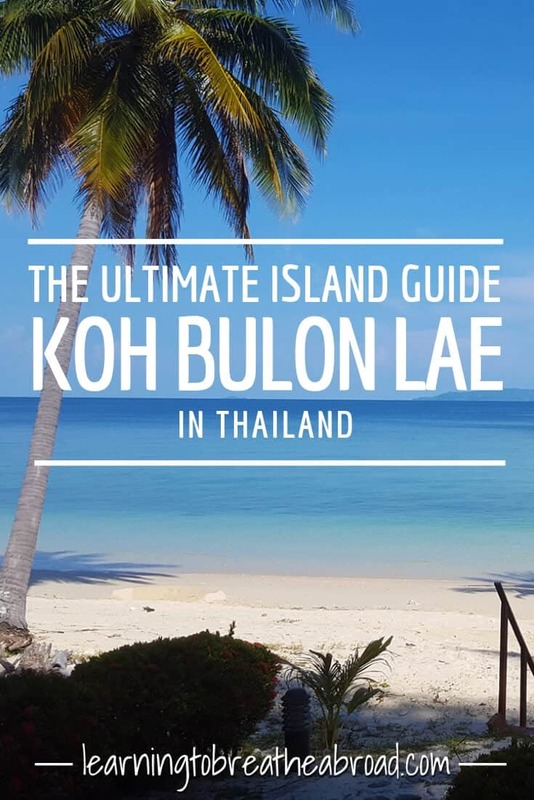 Koh Bulon Lae is situated in the Andaman Sea in the Satun Province of Thailand. The closest airports are in Hat Yai and Trang. You can easily get a combined minibus/ferry ticket from Hat Yai or Trang via Pakbara Pier to Koh Bulon. 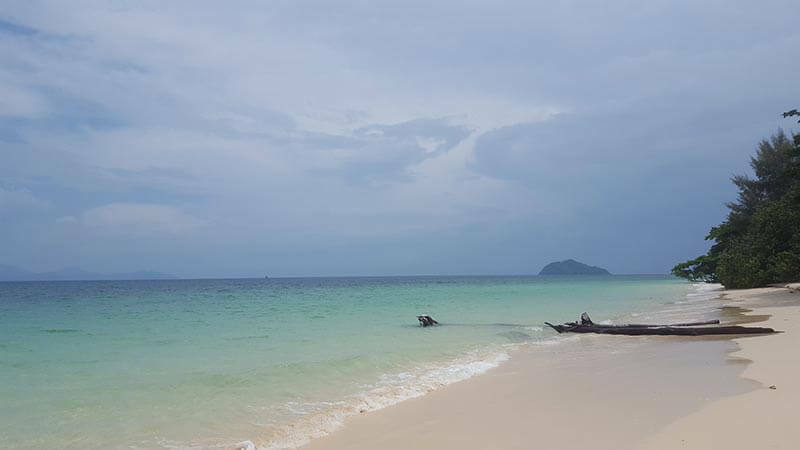 There are daily ferries between the islands in the Andaman Sea, so going North your stops would be Ko Kradan, Koh Muk, Ko Ngai, Ko Lanta, Ko Phi Phi and finally Phuket. Going South your stop would be Ko Lipe, where you could get a connecting ferry to Langkawi. You can also get a ferry directly to the mainland from Koh Bulon Lae to Pakbara Pier. Sunset on School BeachWe loved every minute of our stay on this paradise island. We didn’t want to leave and will definitely return!